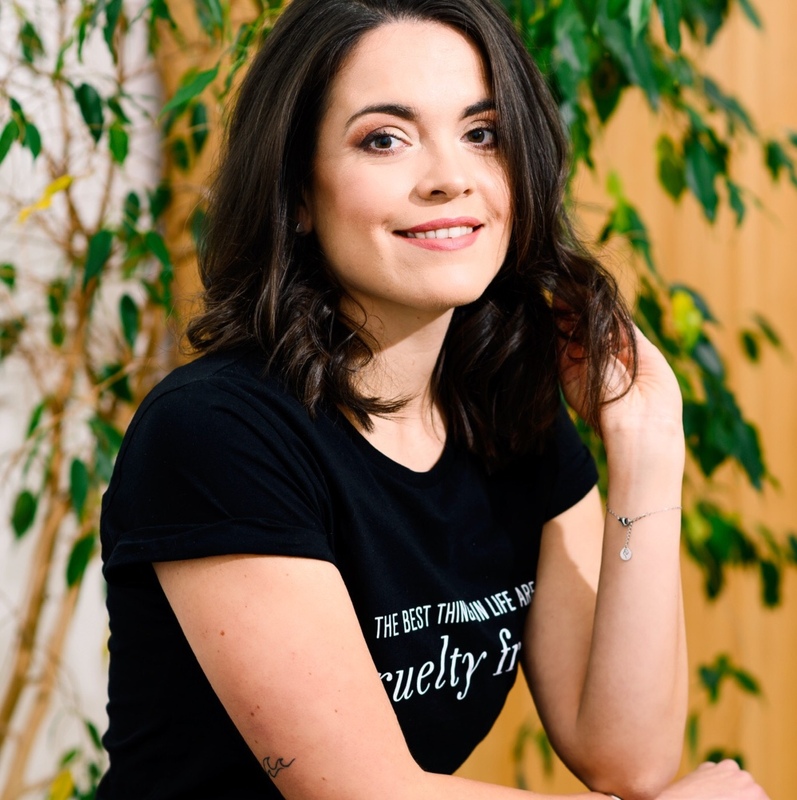 Vegan replacements for leather have skyrocketed in the last few years, with animal-free materials made with everything from pineapples and mushrooms to apples and wine vying for attention in a growing - and increasingly exciting - vegan fashion market. And quite rightly: while traditionally produced animal-derived leather is responsible for environmental destruction, greenhouse gas emissions, and taking the lives of approximately one billion animals per year, these new materials are natural, eco-friendly, often recyclable, and always completely cruelty-free. One of the most interesting developments in the market is...coffee leather. That's right: a leather alternative made from everyone's favorite drink. German company Nat-2 was founded in 2007 by Sebastian Thies, who hails from one of Europe's oldest dynasties of shoemakers – his family has been in the trade since 1856. But what sets Thies apart from earlier generations of shoemakers is his passion for innovation: since its inception, Nat-2 has been dedicated to sustainability and invention. 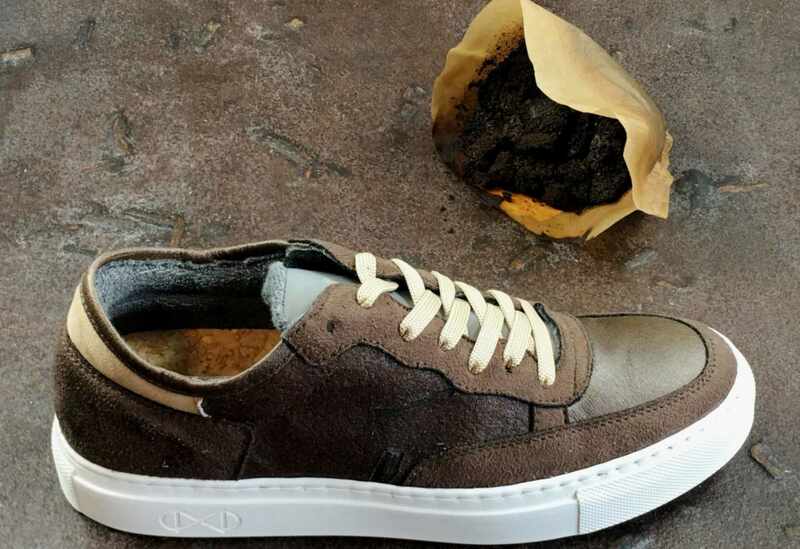 It's no surprise then, that Thies himself is behind the brand's latest design: a 100 percent vegan unisex sneaker made with recycled coffee grounds. Offered in a high-top and a low-top version, the sneaker is covered in a layer of this new patented material – which even carries that coffee scent we all know and love. The kind of coffee used in the production of the sneakers depends on what kind is the most sustainable to harvest. Aside from the ground-breaking 'coffee leather', the sneaker features recycled rubber outsoles, faux suede sections in recycled PET bottles, antibacterial padded cork soles, and water-based glue, all earning them further sustainability points. 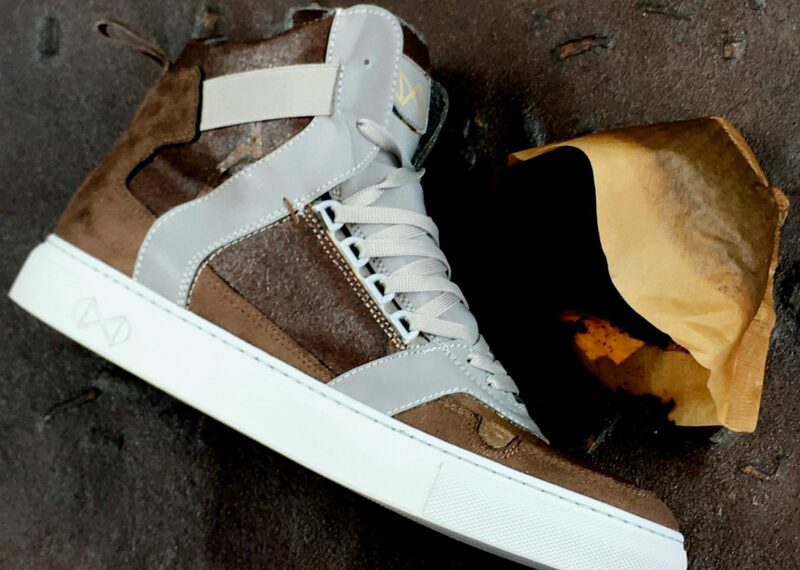 The brand is somewhat of a revolutionary when it comes to vegan shoe design: alongside this coffee sneaker, it has also created cruelty-free styles incorporating mushroom leather, sustainable wood, corn, pineapple leather, stone, grass, and beans to produce on-trend vegan fashion. As innovation grows and sustainable options get more and more creative, the need to use animal skins of any kind for clothing is truly behind us.